TPSNews.ca | Stories | Ready for winter driving? 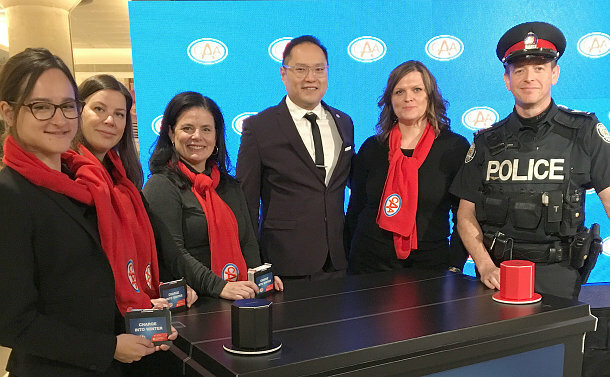 Traffic Services officers are encouraging drivers to be prepared for the hazards and other challenges they will face during the winter months. At a public outreach initiative at Union Station on November 13, S/Sgt. Brett Moore said drivers need to familiarize themselves with how their vehicles react to icy and slick road conditions. For drivers using winter tires, Moore suggested they take the time to ensure they are properly installed. 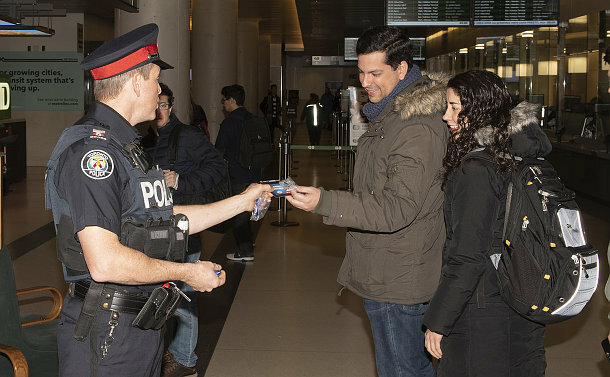 The Canadian Automobile Association (CAA) partnered with Toronto Police for the early morning outreach session at one of the largest commuter hubs in the country. Tsai said the number of battery-related calls have gone up by 20 per cent. Sgt. Alex Crews, who has been with Traffic Services since 1990, said it’s imperative that drivers use the roadway according to the conditions.